To find your Volvo part from a RECYCLER NEAR YOU, just enter the YEAR, MODEL and PART TYPE you wish to locate and your ZIP code in the above form and press the "FIND" button. The owners of PartsHotlines have been in the auto recycling industry for over 30 years! We've been providing parts locating services longer than any other company on the Internet. Buying used parts for your truck or car puts extra money in your pocket. While you're at it, save money by reducing the load in your trunk by 100 pounds. It can reduce your fuel consumption by up to 2%. 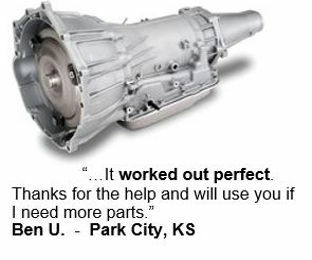 You win when you buy quality recycled parts at great prices. PartsHotlines helps you find the right thing, at the right price, right away! 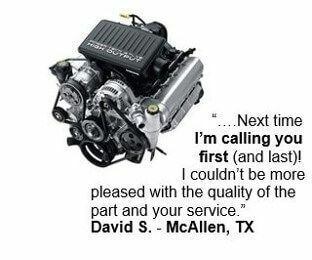 While you're taking care of your vehicle: have you tuned your engine lately? Tuning up your engine will improve your gas mileage by 4 percent and save you about 15 cents per gallon. New advances in technology enable modern auto recyclers to carefully drain all salvage vehicles of operating fluids, oil and gas. PartsHotlines uses the latest SSL encryption to protect your online transactions with our auto recyclers. We are the leader in the recycling industry in screening the salvage yards we work with. The salvage yards on PartsHotlines have all met our requirements for length of time in business, part quality and reputation. 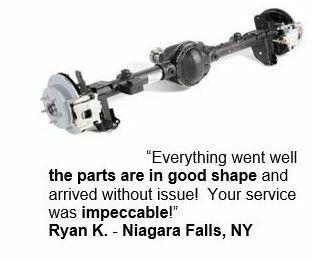 We work hard to take steps to ensure that buying your used parts via PartsHotlines is worry free! We have a wide range of recyclers on PartsHotlines: whether you're looking for parts for your car or parts for your truck, you can find them here.